It has taken a few weeks, but we finally have more good games than bad and ugly ones. We have more contenders actually taking on contenders, and fewer quality teams taking on cupcakes. That means it will be a lot harder on gamblers to decide who is safe to bet on, but it means that football fans are going to have plenty of quality games to watch this weekend. Don't worry. If you are looking for some bad spreads to take advantage of or some ugly games that are going to turn into blowouts early there are options for you too. When Will Muschamp took over as the defensive coordinator at Auburn you would have thought this game would have been ugly, but it could be one of the best of the weekend. Kentucky has a pretty good quarterback in Patrick Towles who will be more than happy to abuse the Auburn defense. The Wildcats are decent on defense and the Auburn offense is the definition of struggling. I'm a little surprised that the spread is in favor of Auburn. I can only guess that it is because the Tigers have better talent and the guys in Vegas are banking on them playing up to their ability finally. I don't think they can, but I'm not confident enough to recommend taking the spread. This should be a heck of a game. Stanford has a capable veteran quarterback in Kevin Hogan and UCLA has an up and coming talent in Josh Rosen. Both offenses generate about the same number of points, passing yards, and rushing yards a game. They allow close to the same as well. It should be a good game, but it could turn ugly if the Stanford defense can rattle young Rosen. At times this season his youth and inexperience has overshadowed his talent. I like Rosen's ability to produce more than Hogan's consistency. I like UCLA to win and will watch this instead of the NFL game Thursday night, but this one could easily go either way (so bet elsewhere). This one has all the makings of a good ole fashioned smash mouth football game. Both have good defenses and strong running games. Iowa has a better passing game, but Northwestern has a pretty solid pass defense. Neither defense gives up many points. C.J. Beathard will make or break the game for Iowa. If he can figure out to exploit the Wildcats pass defense Iowa will win this one. I like Jordan Canzeri more than Justin Jackson so they still may anyway, but if Iowa establishes the pass this one will be easy. This game could be something else. Alabama has proven that it is still quite capable of dominating teams, but that it is not the beast that it has been in past years. 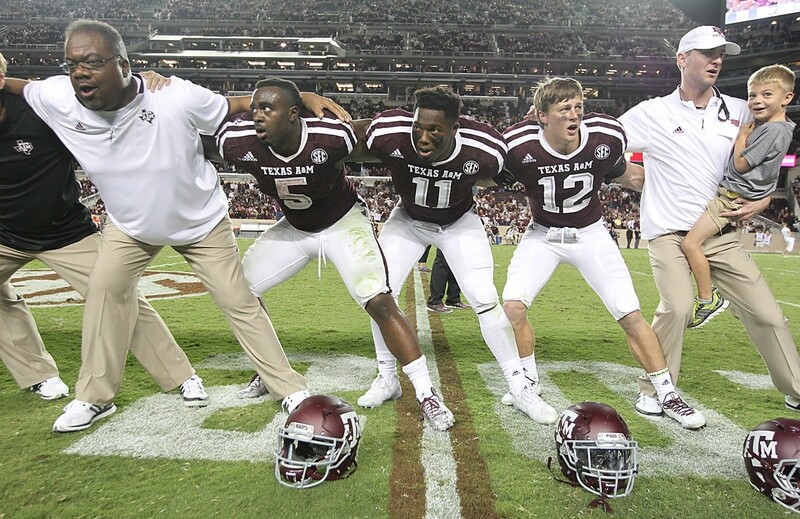 Texas A&M has a wealth of talent on offense, but will it be enough to overcome the tough Alabama defense? Arkansas was able to slow the Crimson Tide offense down for a half. Whether A&M will be able to do so will depend on whether Myles Garret, Daylon Mack, and Daeshon Hall can keep Jacob Coker from getting into a groove while also keeping Derrick Henry from running wild. Kyle Allen, Christian Kirk, and Kyler Murray will do their part on offense, but it all depends on whether the defense can step up and do its part. Watch the game, but don't bet on it. It is hard to imagine the Spartans getting shut out, but with as well as Michigan has been running the ball and playing on defense it could very well happen. Connor Cook may not have enough time or opportunities to figure out the stingy Wolverines defense. I never thought I'd say this, but I'd be comfortable taking Michigan and giving up the points. It would not be surprising if the spread on this one grew before kickoff on Saturday. Florida has lost its starting quarterback for the next year due to a drug violation. Treon Harris is an okay quarterback, but he hasn't been playing for a while. Quarterback is not exactly an interchangeable position. No matter who plays quarterback for either team, the game is going to come down to Leonard Fournette. Can Florida stop him? The Gators do have the No. 18 ranked rushing defense in college football so they may be able to slow him down. Brandon Harris is not much of a passer, but for LSU to win he may have to complete a few more than normal. I don't think he can, but I don't see Harris being able to step right on and get the Florida offense moving. Take LSU and give up the points. 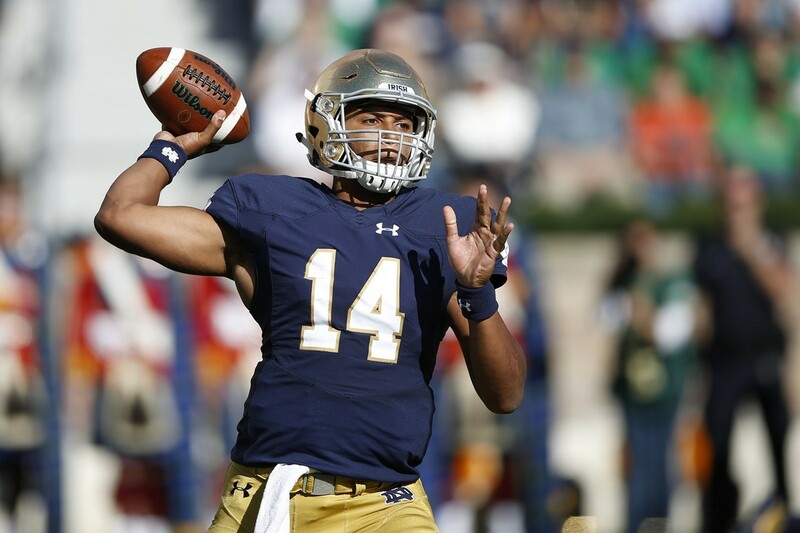 Notre Dame should be in disarray after losing their starting quarterback, but Deshone Kizer is doing quite well. C.J. Procise is one of the best running backs in college football and the Notre Dame defense is not bad either. USC, on the other hand, is an accident waiting to happen. Cody Kessler is a solid quarterback, but with all the drama surrounding their now former head coach the team is not going to be as focused as it should be. Notre Dame is going to want to put on a show for the home crowd, and I don't see any reason why they will not. Take the Fighting Irish. This is going to be a good game that should go down to the wire if both team's play makers show up. Mike Bercovivi is a solid quarterback that had the ability to pass for days. Devontae Booker is a dominant running back that could keep Bercovici from having enough time to find his rhythm. Who will come out ahead? Utah is giving up a decent amount of passing yards so it may not be too hard for Bercovici to take this game over. Arizona State tends to give up a fair amount of rushing yards which could open the door for Booker. I see the winner coming down to who has another player step up, and I can see Utah quarterback Travis Wilson doing just that. Take Utah and give up the points. I'm not sure why the spread on this one is only 10.5 points. Yes, Memphis is undefeated and Paxton Lynch looks like the real deal at quarterback, but they have yet to play anyone even remotely close to being in the same league as Ole Miss. The Rebels, on the other hand, have played some cupcakes and some studs and looked good against both (except for the Florida game). I don't see how the Memphis defense is going to keep up with Chad Kelly. He is going to have fun throwing against a team that allows over 300 yards passing a game, and probably throw for 400 himself with 200 going to Laquon Treadwell. I'm a little surprised that Kansas State is getting points here. They can run the ball really well, and as Texas proved last week, the Sooner defense is not good against the run. The problem the Wildcats will have is Baker Mayfield can pass with the best of them and they tend to give up close to 300 yards a game. K-State will have to disrupt Mayfield like Texas did to have a chance in this game. With the way it played against Trevone Boykin I can see them doing it well enough to win the game. TCU has the No. 2 offense in the country and is led by a Heisman trophy candidate. Iowa State tends to give up a fair amount of yards in the passing game and the running game so there is no reason to believe that Iowa State is going to slow them down. TCU is not the dominant defensive team that it was last year so Iowa State should have some success in moving the ball. However, TCU is going to force them to abandon their strength (the run game) and do nothing but pass because they are going to blow them out early. The bad part is Iowa State is not a great passing team so I don't see them being able to keep up. Look for TCU to cover the spread sometime in the third quarter. Ohio State is getting annoying. They have all this insane talent on their team and one of the best coaches in college football, but they can't put a complete game together. Last week Maryland hung with them for a half, but couldn't keep up in the second half. Penn State is a much better team than Maryland, but the Buckeyes should still cruise. However, considering how they are playing I would take my chances and the points with the Nittany Lions. Kansas is a wreck. Texas Tech, on the other hand, deserves to be ranked more than some of the teams that are, but with two losses (to top five teams) they are going to need to beat someone ranked before they will get into the top 25. Destroying Kansas will not make a difference to their ranking, and they should easily do so. Look for the spread to be covered at some point in the second quarter. This is a tough one. It could very well be the most entertaining game of the weekend. West Virginia is playing well on offense with Skylar Howard at the helm, and he has some pretty decent playmakers helping him out. However, their defense took a hit when it lost Karl Joseph. 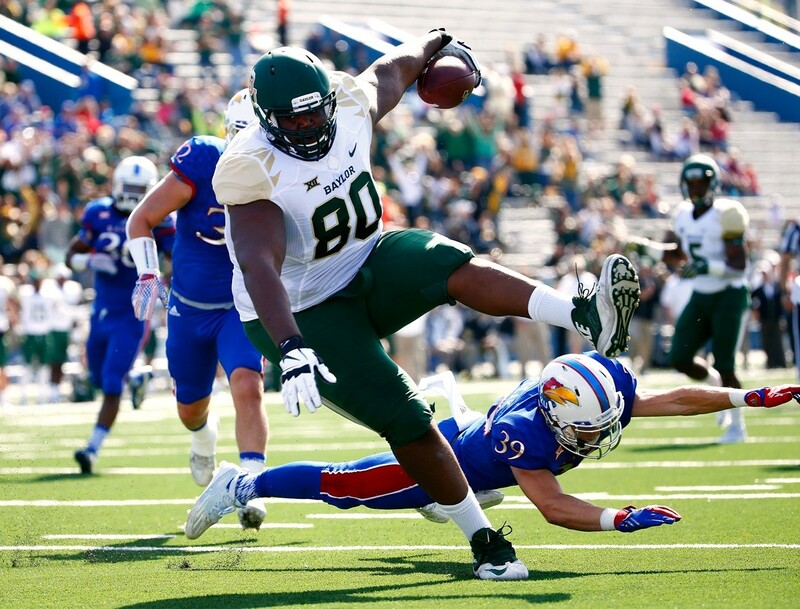 Baylor is clicking on all cylinders right now. Seth Russell is on point, Corey Coleman, KD Cannon, and Jay Lee are the best receiving trio in college football today, and Shock Linwood is a beast. West Virginia's defense may slow Baylor down in the first half, but it will not be able to do it for the whole game. It will be an entertaining and high scoring game, but in the end Baylor will blow the Mountaineers up. This spread is all about the Boston College defense and the respect Vegas has for it. Deshaun Watson is a pretty good quarterback and the Tigers have a good running back in Wayne Gallman. Will they be able to get past the No. 1 passing defense and No. 1 rushing defense in the nation? No one has, but BC has yet to play someone with the caliber of talent that Clemson has. At the same time, Boston College is a terrible offensive team. They couldn't pass their way out of a paper bag, but they do have a good running game. This one is going to come down to whether Clemson can generate any offense against the Boston College D. It is going to be easier said than done so look for this one to be a low scoring, ugly affair.